Discover which types and dosages of vitamins and minerals are right for your body. Reveal your body’s unique needs and optimize your supplements for your genetic makeup to ensure it’s functioning at full capacity. Why wait to become the best version of you? 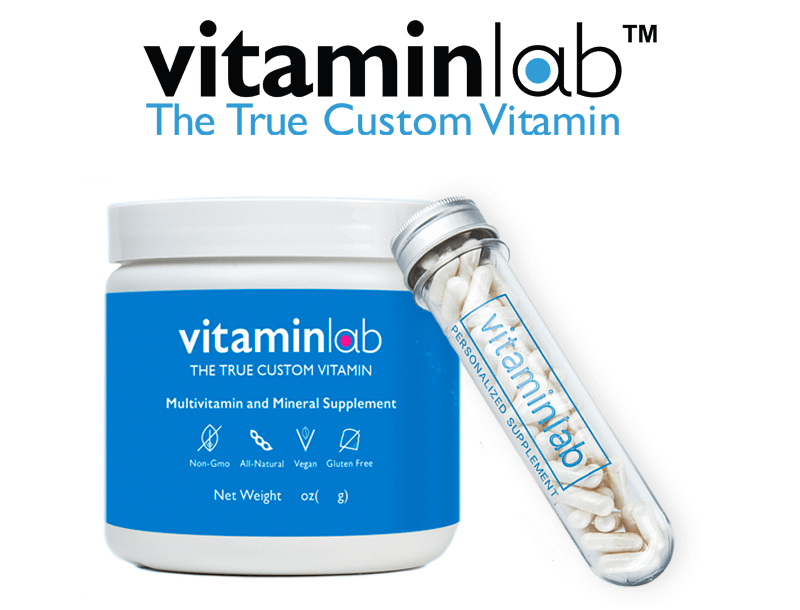 VitaminLab is an all-in-one custom supplement in a capsule, that is made bespoke to each individual, creating the industries’ only true custom supplement. Use your dnaPower test results to generate the optimal formula. Taking too many tablets can be overwhelming. VitaminLab offers custom compounding of over 125+ professional grade ingredients down to one single supplement. Our unique capsule covers 90% of your vitamins and minerals, plus all of your supplements, so you only have to take one formula. Our formulas have all-natural ingredients such as beetroot, stevia and prebiotics. Ingredients include vitamins, minerals, herbs, nutraceuticals and probiotics, that are quality tested and sourced from the top suppliers in North America and Europe. We are proud to say our formulas are food-based, have no added fillers and are gluten-free/vegan friendly. No artificial ingredients, sugar or sweeteners here! Take your dnaPower test and receive your report. Enter your unique ID -- your 16 digit barcode that can be found in the bottom right corner of your dnaPower report. Review the VitaminLab custom formula, made specifically for your DNA. How is the formulation determined? A team of nutrition and pharmacist experts from dnaPower and VitaminLabs evaluated the most important ingredients for a custom vitamin. We have used the best guidelines available to create a base multivitamin. Then using the DNA results, areas of 25-49% variation have up to a 50% increase in the formula. Areas of 50%+ variation have up to 100% increase in the formula. Any increase is based on safe limits according to Canadian and US health guidelines. How is my DNA information shared? Privacy of information is foremost. Your DNA information never leaves our secure encrypted database. We have a special area that calls the supplement genotype data based on your report ID, and an algorithm based on your DNA result determines the formula as designed with VitaminLab. The formula and the ID only are sent securely to VitaminLab to develop your order. Is it the right formula for me based on my body today? We are providing you with the best estimate of what your body may need based on your genetic makeup. We cannot tell if your body is deficient in those areas today. We believe that most people need supplement support today based on the depletion of vitamins and minerals in our food supply. The custom vitamin formula provides important support to our everyday health regime. How can I know where I am deficient today? Blood tests can provide some limited assessment of where you are today. If you know you are deficient in an area, you can request an increase in that area to VitaminLab in your next order.